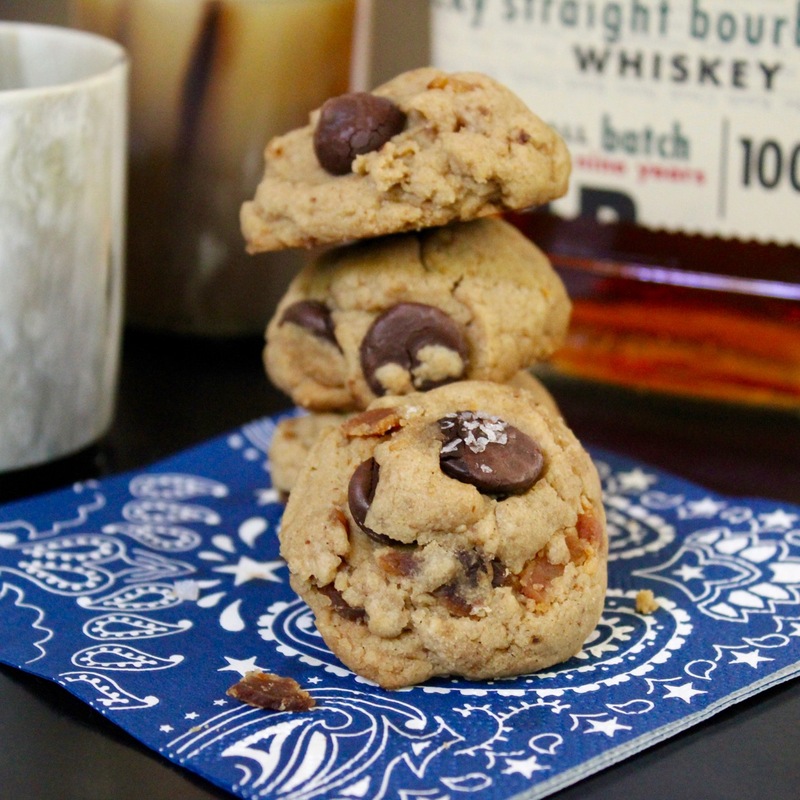 Sorry…Did someone say Bacon…Bourbon and Peanut Butter in one little cookie? And it is salted! Whaaaat?!! Can you do that? Yes indeed you can and that is just what I did here. 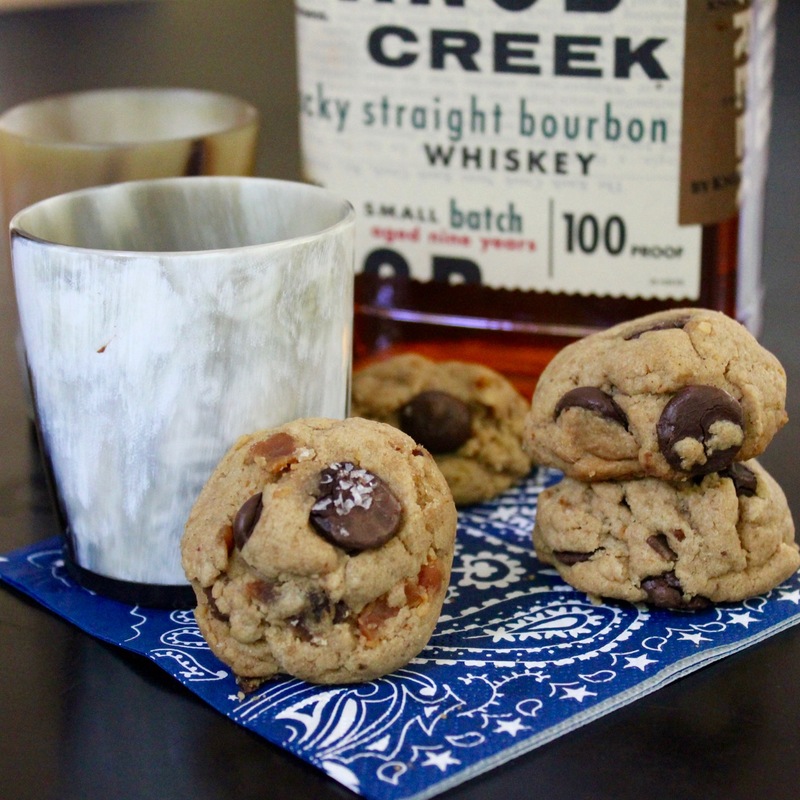 These naughty boozy little cookies are completely amazing. With gooey peanut butter, smoky bacon, rich chocolate and silky smooth bourbon (Knob Creek is our favorite) all enhanced with a perfect sprinkling of flaky sea salt, how could they be anything other than oh so decadent and sinfully delicious! Wonderful with a glass of milk or maybe with another shot of bourbon for an indulgent nightcap. These cookies would be perfect for tailgating, a very welcome treat for any adult trick-or-treaters you might encounter and certainly keep these in mind when those Super Bowl parties fire up! Combine the flour, baking soda, baking powder, cinnamon and salt in a large bowl. Whisk together. Cook the bacon until crisp. Transfer to a paper towel lined plate. Reserve 2 tablespoons of the drippings and set aside to cool. Once cool, crumble the bacon, remove (eat) any chewy bits. Beat the butter and reserved bacon drippings in a large bowl with a mixer on until smooth, about 1 minute. Beat in the peanut butter until combined, about 1 minute. Add the granulated and light brown sugar and mix until creamy, about 4 minutes. Add the egg and bourbon and beat until light and fluffy, about two more minutes. Add the flour mixture in 2 additions, scraping down the bowl as needed, until just combined. Once you are ready to bake. 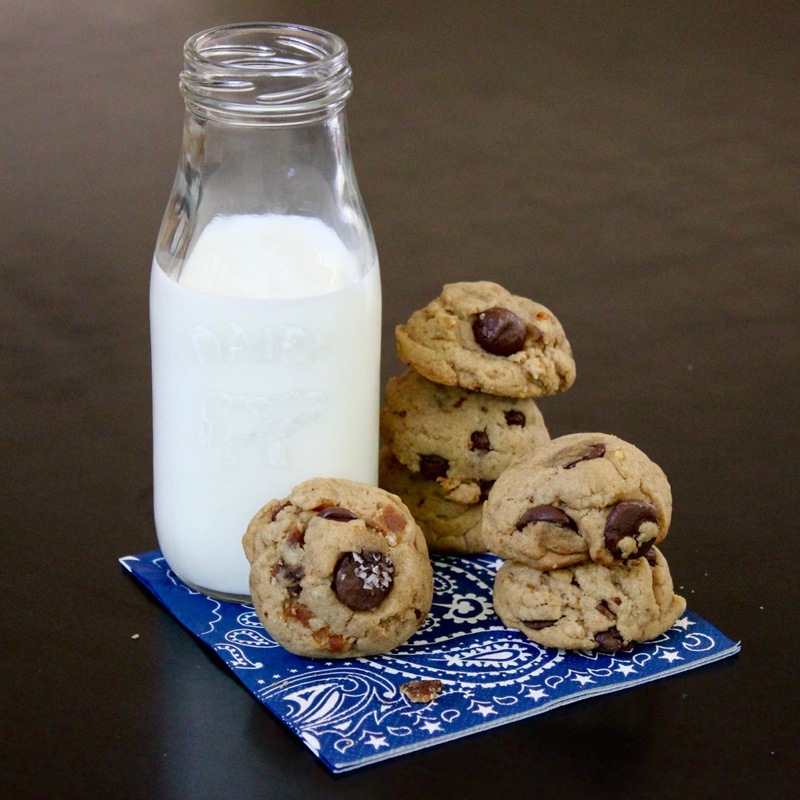 Place cookie dough balls on a parchment lined baking tray 2″ apart. Bake for about 8 minutes for chewy cookies, 10 for crispier cookies. Let the cookies cool 2 minutes on the baking sheets, then transfer to a rack to cool completely. * You can also freeze the cookie dough balls at this point. Once the dough is frozen you can remove it from the baking tray and store in a ziplock bag. When you are ready to treat yourself to a cookie or two (or so…) remove from freezer and bake as directed above, but add two minutes to the overall baking time.